This is one of the easiest ways to get dinner on the table for your family without a ton of work. Using only one pan makes for easy clean up.The results flavorful meal your family will love. Preheat oven 400 degrees. 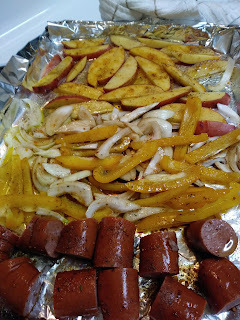 Line sheet pan with tin foil, and spray with non stick cooking spray. In a large bowl, combine all ingredients, toss until evenly coated. 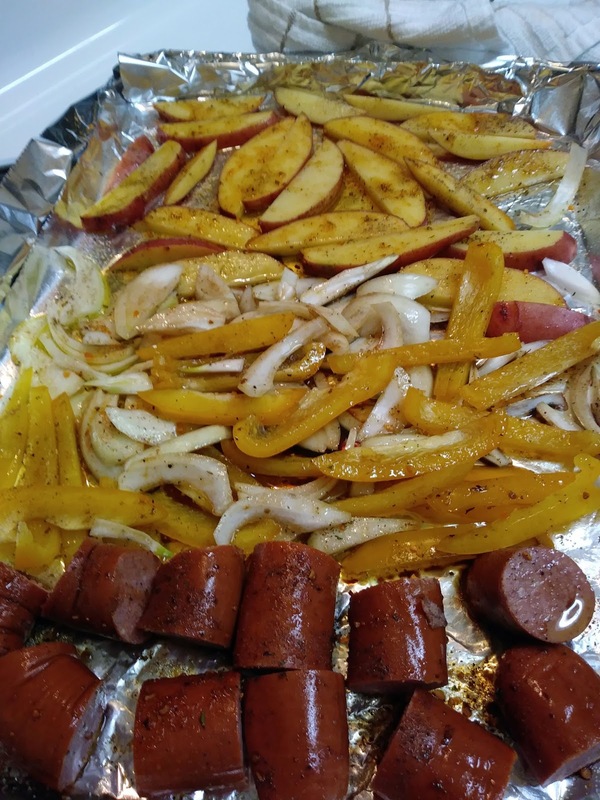 Spread on sheet pan. Bake 20 to 30 minutes, until potatoes are fork tender. Serve immediately.